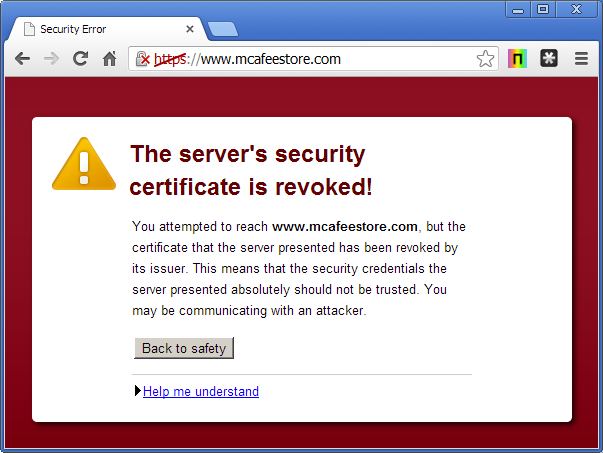 Currently there is a lot of talk and upset customers in the online security field due to over 23,000 Certificate suddenly being revoked. Below is an outline of the events within the last month leading to this event. On February 2nd an official at DigiCert received a request from Trustico to revoke over 50,000 Certificates that had been issued through the reseller Trustico. DigiCert then needed to confirm that either the keys were compromised or that they revocation was authorized by the owner of the SSL Certificate. The certificates were not alleged as compromised at that time. After this Trustico said the private keys were compromised without giving specifics or details on how they were compromised. This was to trigger the 24-hour revocation requirement set by Certificate Authorities when a Private Key / Certificate becomes compromised. On 27th February Digicert then received a file from Trustico containing over 23,000 Private Keys. At first no information was provided by Trustico as to how the private keys were acquired or compromised. Trustico have suggested that this revocation is due to the upcoming Google Chrome distrust of Symantec roots. That is incorrect. DigiCert had to revoke the certificates because they were sent the private keys by Trustico which had nothing to do with future distrust dates by Google Chrome. DigiCert have only contacted and revoked the Certificates that match a Private Key in the file sent from Trustico, leaving another 27,000 Certificates possibly compromised. If you have had any SSL issued from Trustico that was generated using a CSR and Private Key generated on their website, we highly recommend you do a reissue of your SSL or revoke it and order a new one. Any SSL using a CSR/Key pair generated on their system could be compromised. This event can be a reminder that you should never trust anyone with your Private Keys. You should only ever share your CSR when generating/configuring a new or reissued SSL Certificate. You Private Keys should be generated and kept safe only on the servers you wish to install the Certificates.